Few tourists venture beyond the Amalfi Coast. Those who do discover one of Italy's seven wonders - a land of friendly people, huge welcomes, ancient history, traditional cooking and breathtaking scenery. Oh, and the beaches are rated top five in Italy. They call this enchanting world the Cilento. Visit once and it will forever lure you back. In all my years living and exploring Italy I can confidently say that these are the friendliest Italians you'll ever meet. You are treated like long-lost family. The warmth and kindness of people here is so very special. In so much of the world this genuine hospitality is now lost forever, or never existed. Long may it remain unchanged in Cilento. Warning! The Cilento can be life-changing - just read Michelle's incredible story. 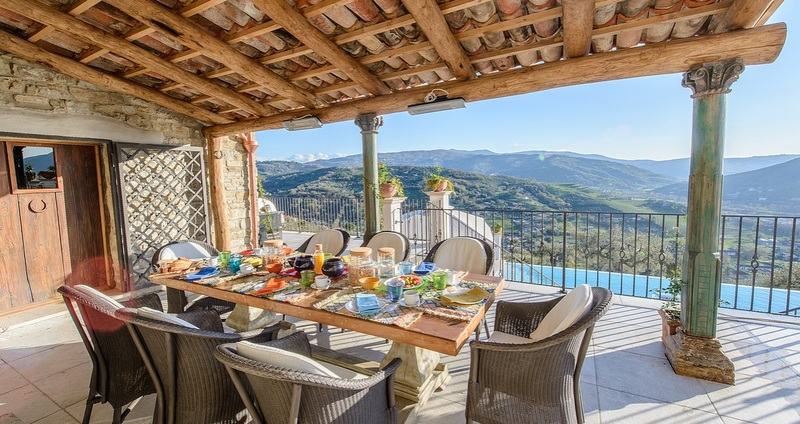 I've friends who have the most remarkable villa in the heart of the Cilento. If you want something super special then this villa is it. 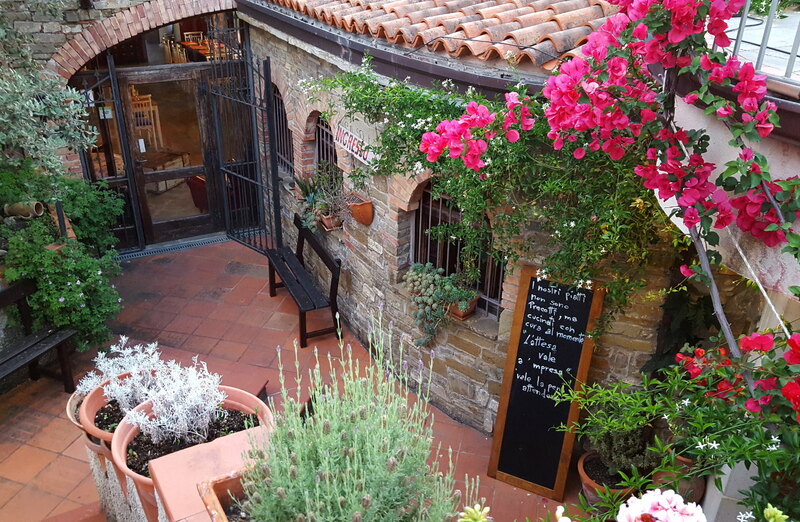 For three hundred years it nestled on its hillside, embraced by olive groves, lemon trees and vineyards. Slowly time took its toll and it needed a lot of love to bring back its former glory. Nigel and Dawn spent years, and a small fortune, to lovingly restore it into that dream of Italy we all have. Here you'll enjoy the Italy of yesteryear... in absolute luxury. They call it Il Rifugio (The Retreat). I call it one of my happiest memories. 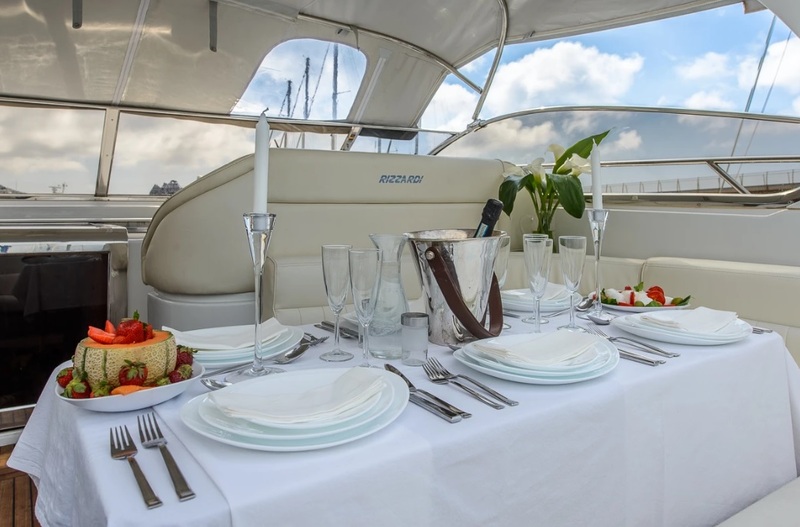 Did I mention that they have a luxury Italian motor yacht available for you to use too? How could I forget that? Together, the yacht, the villa and a few other rather special offerings make up the Pinelli Estate. Nobody who has ever sailed out across turquoise seas on this boat will ever forget the experience. Standing on deck, watching the sun set over ancient hill towns, a glass of prosecco to hand. Not much can beat that. Rent the villa for a week and the boat comes free. Even if you aren't staying at the Pinelli Estate I'd recommend chartering the boat, at least for a short trip. The experience of viewing the coast from the sea is super special. You'll eat well pretty much anywhere in the Cilento. Food is invariably super fresh and sourced locally. You've even a Michelin starred restaurant in the area now. It's called Le Trabe and prices are way better than any other Michelin restaurant I've ever eaten at. The setting, above a river, has to be seen to be believed: watching the water rush by beneath the glass floor of the restaurant is a unique experience indeed. Still, I prefer simpler and authentic nonna style cooking. The good news is that Italian nonnas (grandmothers) share their generations old recipes with you at the tiny trattorie found in every town, every village. Each mouthful is a taste of this land, its history and family traditions. One such restaurant is La Civetta, it's just up the road from Il Rifugio and offers traditional dishes in hearty portions. The nonna at La Civetta is Alfonsina Falcone and, should you feel you'd like to learn her secret recipes with a cooking lesson or two, or have her cook for you at Il Rifugio, then all you need do is ask. I nearly forgot Buffalo Mozzarella. That would be a HUGE mistake. It's unlike normal old cow variety mozzarella - far creamier and far tastier. They even make gelato (ice-cream) from it down here and a creamier gelato you'll never have. 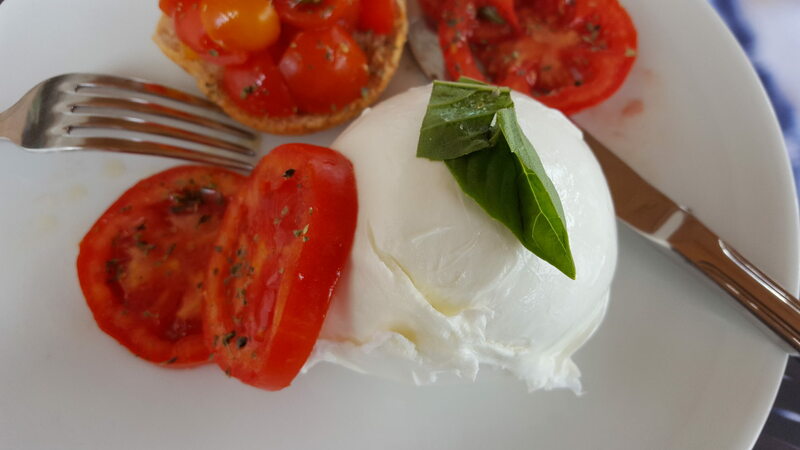 Still, the mozzarella is the cherry on top - try it in a Caprese salad. 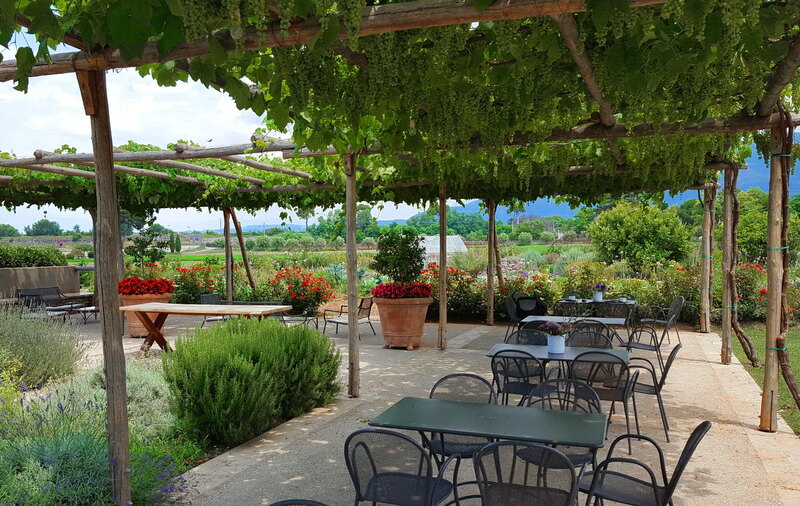 The best one to visit is the Barlotti Farm (Barlotti Caseificio), right around the corner from the Paestum site in via Torre di Paestum 1. Meet the buffalo first and then try the mozzarella. For dessert a slice of their ricotta cake, made with buffalo milk and pears, is out of this world - so light, so delicate, so perfect. You can get here by train from pretty much anywhere in Italy but then it is hard to explore the countryside as local buses aren't that great. For that reason I'd really recommend a car rental. Best book before you leave and collect it at the airport on arrival - prices are always best like that and you can be sure of availability. The drive down from Naples, the nearest major airport, is an easy and pleasant one.